The RAM 1500 is one of the most recognizable and most popular pickup trucks on the market today. In addition to the impressive power and performance that Corpus Christi drivers love, the 4×4 drivetrain delivers torque to all four wheels, which improves handling and steering on tough terrains and off-road jobs or adventures around Kingsville. Why Choose a RAM 1500 4×4? 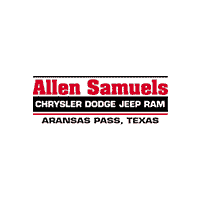 After you’ve explored our inventory of RAM 1500 4×4 trucks for sale in Aransas Pass, see what the reviews say about the 2019 RAM 1500. Then visit our showroom in Aransas Pass to learn more about this pickup’s features on a test drive.